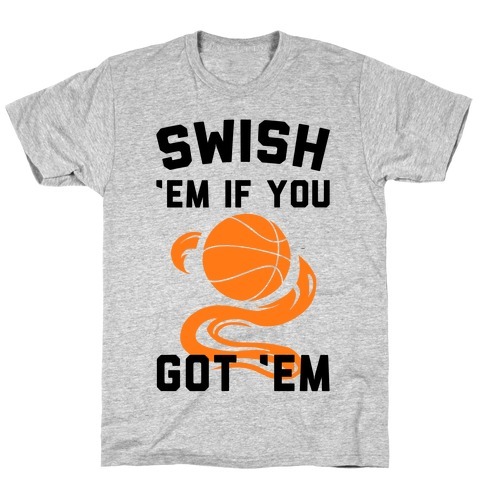 Browse our collection of 6 Swish T-Shirts and more. Designed and printed in the USA. 100% Satisfaction Guaranteed. About this Design Theres nothing quite as satisfying as making the shot in a basketball game. Perfect for people who love basketball! Show your love for basketball with this sports shirt. Take to your next game, and impress all the players on the court, as well as make the other team super jealous of the great team spirit you have! About this Design If there's a hoop there is a way. If you ball hard you should swish that ball like it's hot. If you love basketball, play it, or are a parent of player than this basketball shirt is perfect for you. Once you get that ball in your hand that hoop is your major goal! So swish 'em if you got 'em! 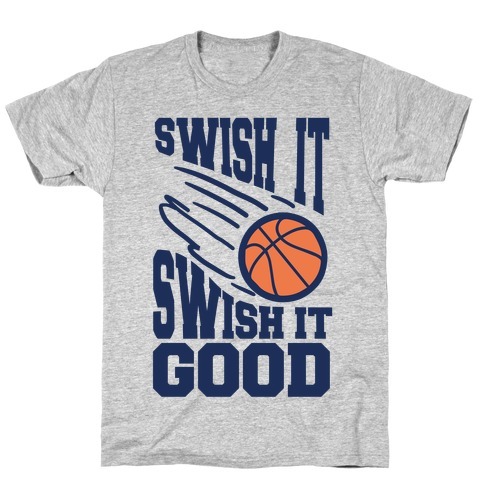 About this Design May all your swishes come true and all your shots be flawless. Show off you love for the game with this sports design that perfect for die hard basketball players. 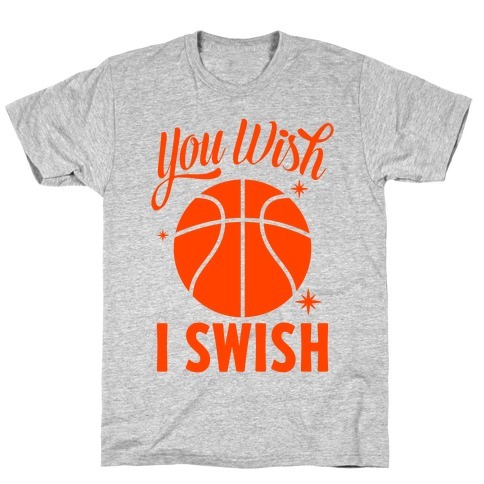 May all your swishes come true and all your shots be flawless. Show off you love for the game with this sports design that perfect for die hard basketball players. About this Design You know what they say- a swish is a throw your heart makes. Whether you're on the court or off, Wear this sporty basketball design and show the chumps who's the real baller here. 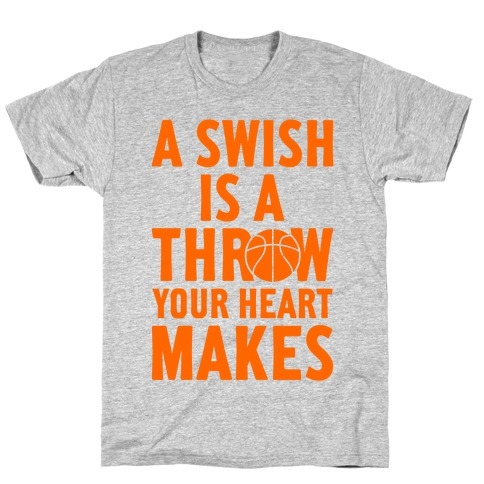 You know what they say- a swish is a throw your heart makes. 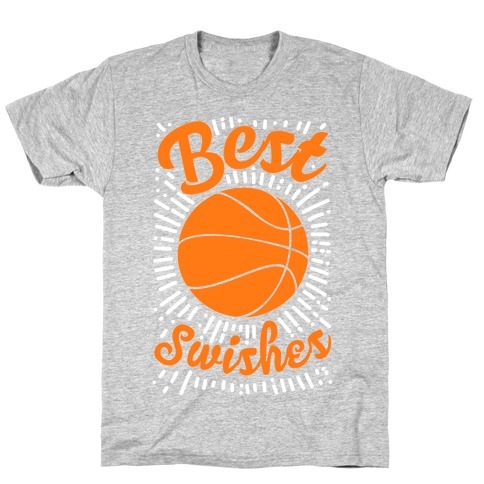 Whether you're on the court or off, Wear this sporty basketball design and show the chumps who's the real baller here. About this Design Believe in your dreams-- but moreover, believe in your sick skills. Keep your eyes on the prize, line up your shot, and let fly a perfect arc that starts from the heart. Grab this sweet sports shirt and rep your basketball love with pride. Believe in your dreams-- but moreover, believe in your sick skills. Keep your eyes on the prize, line up your shot, and let fly a perfect arc that starts from the heart. Grab this sweet sports shirt and rep your basketball love with pride.